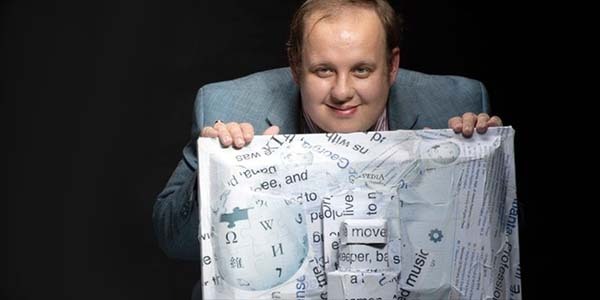 Steven Pruitt has made nearly 3 million edits on Wikipedia and claims to have written 35,000 articles. It’s earned him almost legendary status on the internet. But can we trust what we read on Wikipedia? From the point of view of its founders, Wikipedia must surely be seen as a rip-roaring success. A multilingual, web-based, free content encyclopedia project, created in 2001 and written collaboratively by volunteers from all around the world, it has rapidly grown to become one of the world’s top ten most popular web sites. Nevertheless, despite its popularity Wikipedia can sometimes be highly inaccurate. This is particularly the case regarding articles on subjects related to natural, non-pharmaceutical forms of healthcare. By effectively forcing its editors to rely solely on orthodox medical journals, books published by ‘respected publishing houses’ and content from mainstream newspapers for their references, the reality is that much of Wikipedia’s healthcare-related content is essentially just supporting the same pro-pharmaceutical and corporatist ideologies that are pumped out on a daily basis through the world’s Big Media and publishing outlets. The fact is that, under the cloaks of ‘democracy‘, ‘free speech‘ and ‘open society’, Wikipedia has been developed as a vehicle for influencing and controlling public opinion worldwide. Hosted by the so-called Wikimedia Foundation, Wikipedia is controlled by special interest groups. The ‘founding fathers‘ of the Wikimedia Foundation include George Soros, chairman of ‘Soros Fund Management LLC’, a leading investor in the global oil and drug business. Significantly, Soros’ so-called ‘Open Society Institute’ has been a prominent financier of the Wikimedia Foundation. To learn the facts about Wikipedia that the mainstream media hasn’t been telling you about, visit the Wiki-Rath section of our website.